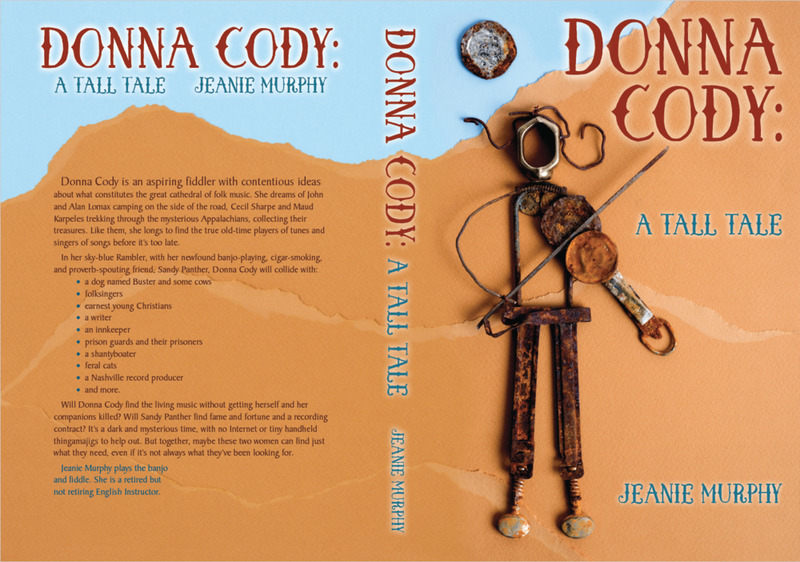 Just in time for Fiddle Tunes last week, a fun cover designed for Jeanie Murphy's new book, Donna Cody: A Tall Tale! Self-published on Amazon.com. The background cover artwork is by Nancy Merrill. Photo by ConklinPhoto.com. Looks like a great summer read! Enjoy. Two new posters created for the Concerts In The Barn 2017 Summer Season for Alan Iglitzin & Leigh Hearon of Quilcene, WA. 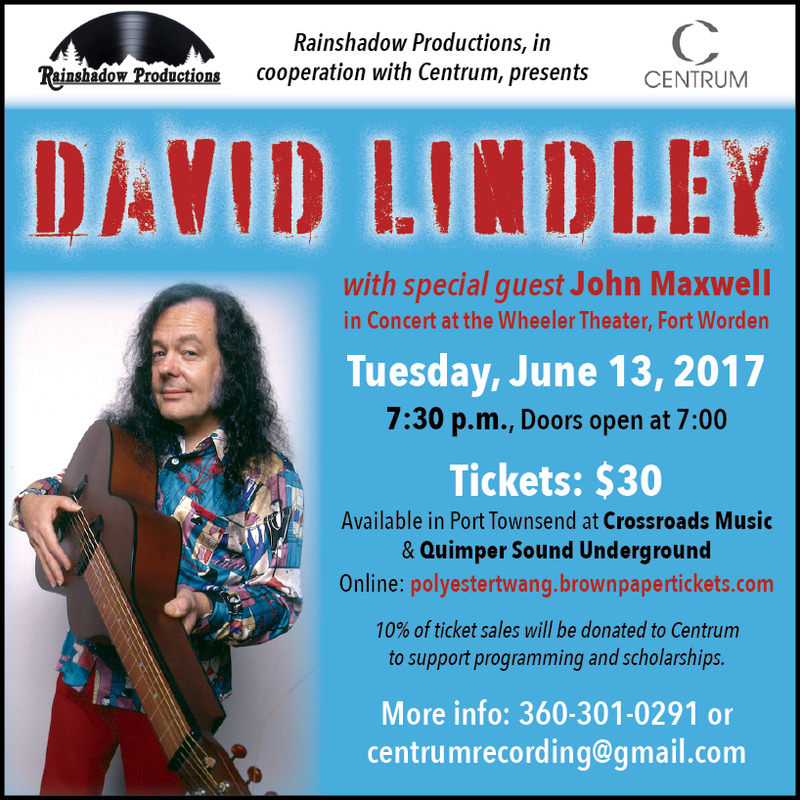 One groovy print ad created for my new client, Everett Moran, of Rainshadow Productions & Recording Studio, who is bringing to Port Townsend, along with Centrum, DAVID LINDLEY in concert! Cool! Photo and logos provided by client. 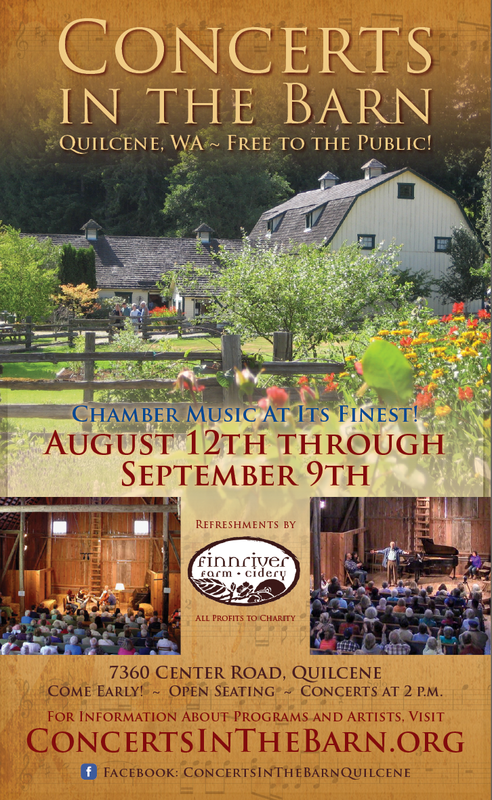 New Rose Theatre ad for Concerts In The Barn in Quilcene. 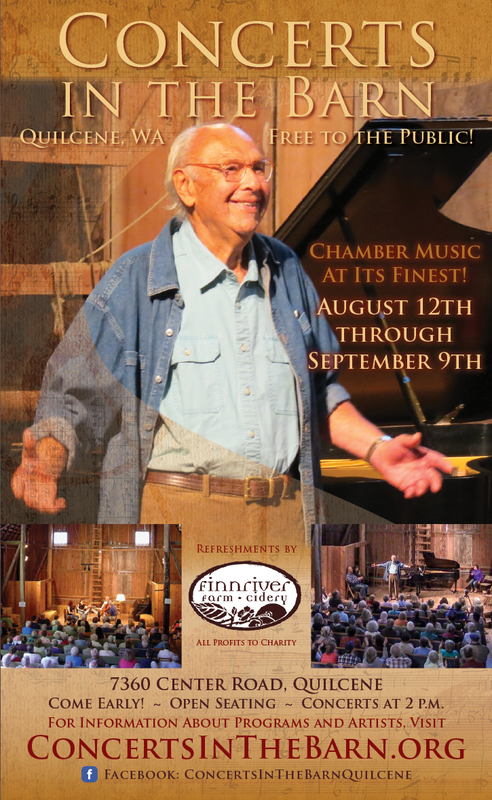 Mark your calendars for these amazing FREE chamber music concerts. These world class musicians are rarely in our neck of the woods and playing in this unique and spectacular venue, it will be a highlight of your summer. Come early for a picnic and to walk the gardens and grounds. So worth the drive! 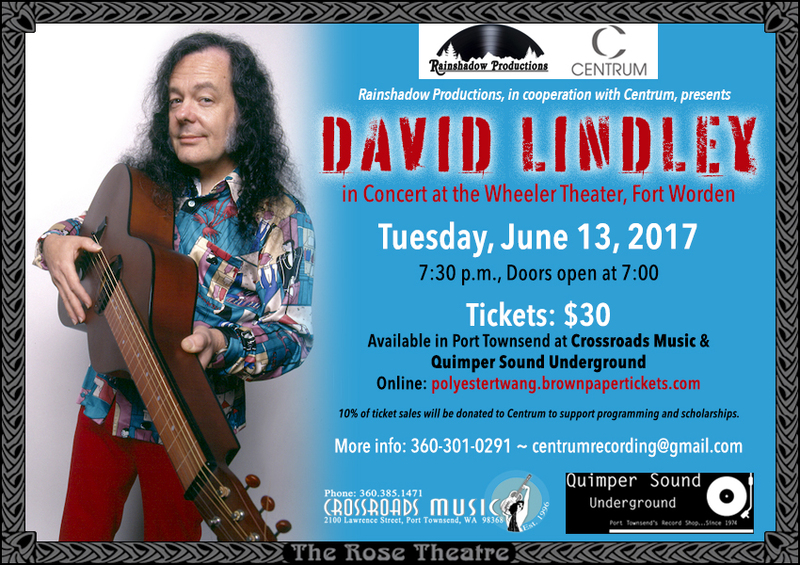 One rockin' Rose Theatre on-screen ad slide created for my new client, Everett Moran, of Rainshadow Productions & Recording Studio, who is bringing to Port Townsend, along with Centrum, DAVID LINDLEY in concert! Sweet! And these ads don't take long to design, create and send to Rocky at the Rose, so they are cost effective as well. Updated building banner for Madrona MindBody Institute. It's their 10th anniversary!!! Celebrating 10 years dancing in Port Townsend and, incidentally, as a client of Isabel Bay Design as well. Woot woot! I'm so honored and grateful to have worked with MMI over the years. Congratulations to everyone at Madrona! See Madrona staff and students dancing in the Port Townsend Rhody Parade this month. Additional Services: logo design, web design/build, print schedule design, and more! New logo for a special seminar with the leading authority on women and wealth, Barbara Stanny. Another fun project for this amazing national author and wealth coach. And by the way, did you know Pippa's serves soup, sandwiches and pastries? Fresh ingredients, impeccably served. Yum! Vector award & banner ribbons by Vecteezy.com. 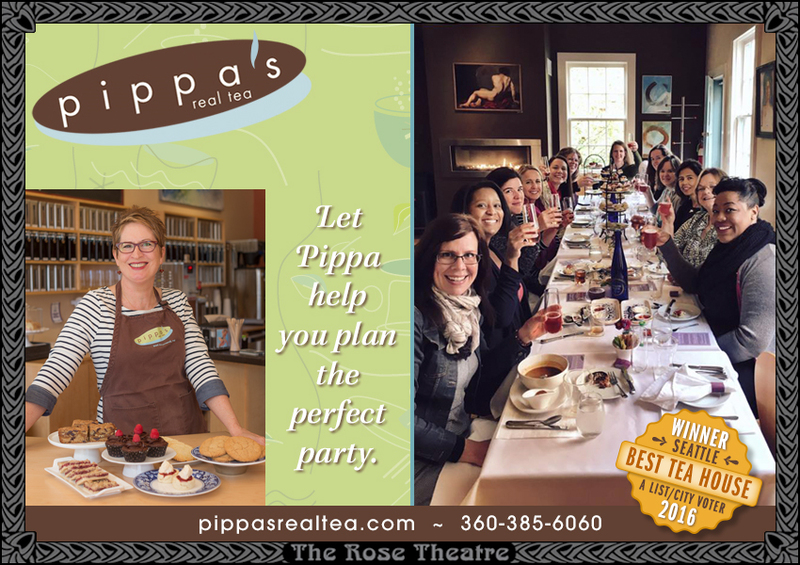 Hey Port Townsend visitors and locals, did you know Pippa's serves lunch? Check it out—everything made in-house with love. These ads show on the big screen at the Rose Theatre before movies start; a great way to reach thousands of local people in Port Townsend with your message. Logo and photos provided by client. New 2-sided business cards for Liz Berman of Rhody Court. Art direction by Inge Norgaard. 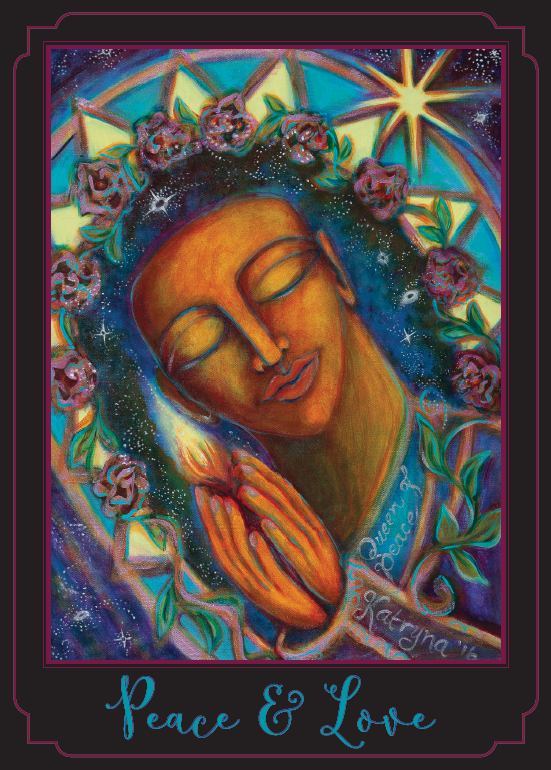 2-Sided Promotional Postcard for my new client and artist, Katy Morse, of Creative Spirit Expression. So easy to work with such a nice person and inspiring beautiful artwork! Front illustration provided by client. 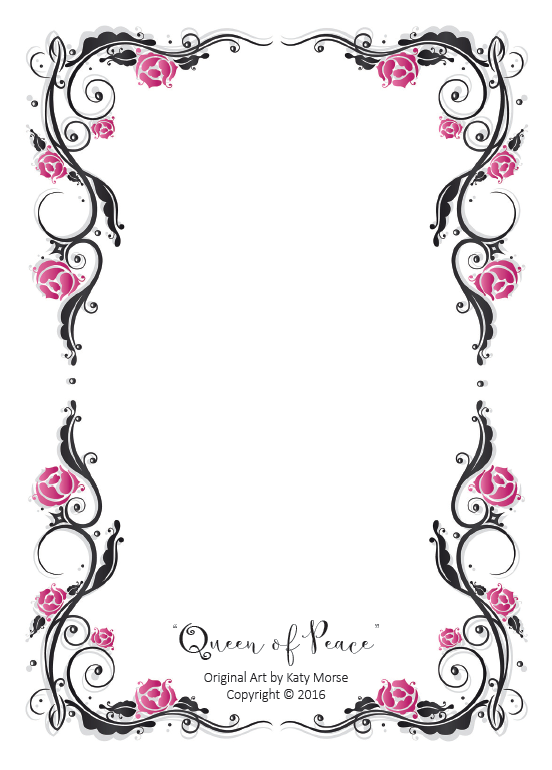 Back rose border purchased from BigStockPhoto.com. Are you into genealogy? Have you ever wanted to map out your family tree? If so, maybe I can help. Creating a beautiful, accurate, easy to understand family tree is trickier than it looks. But if it's done by a professional, it's perfect for framing. Here's one example I've done. What a great holiday gift for the whole family. Contact me to get your family tree project realized. 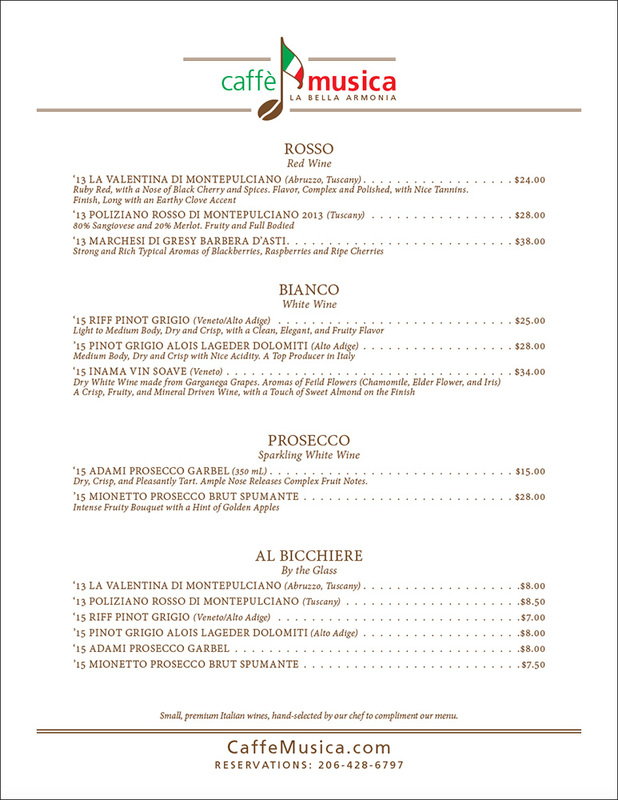 Food and Wine print menus created for Caffè Musica based on a design provided by the client. View 2-page wine menu PDF. If you're in North Seattle, be sure to check out this new, great restaurant! Additional services: logo design, website design/build, business cards, and signage. 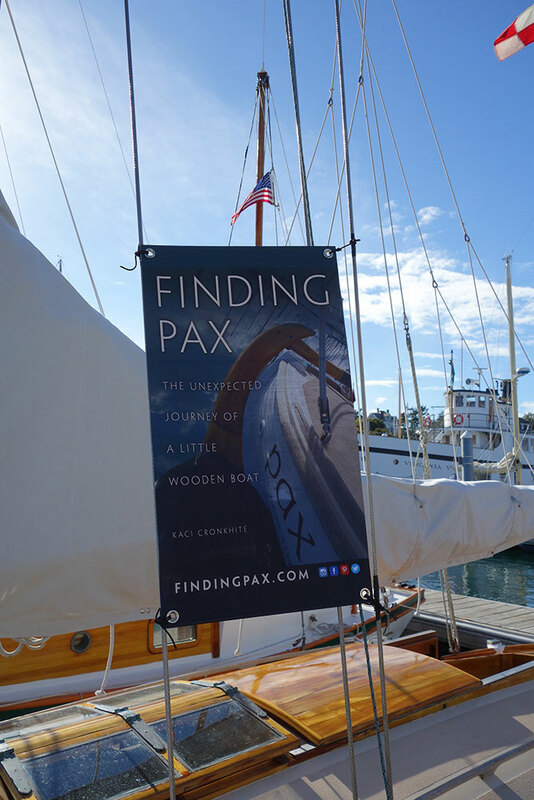 All-weather outdoor vinyl signage for promoting Kaci Cronkhite's fascinating new book Finding Pax. I highly recommend this book! Order your copy online today! Book cover art provided by client. Poster created for Caffè Musica's grand opening week. 2-sided postcard created for promoting KMi - Kristin Manwaring Insurance's anniversary party. Kristin chose to mail these postcards in envelopes. This was a fun project with a great western theme! 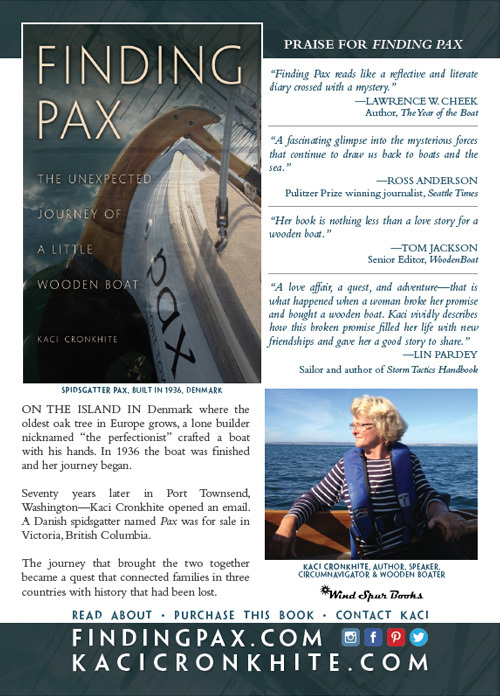 2-sided postcard created for promoting Kaci Cronkhite's fascinating new book Finding Pax. Book cover art, logo and portrait photo provided by client. New Rose Theatre on-screen ad slide (created in record time!) for my new client, Leigh Hearon, of ConcertsInTheBarn.com. What a great FREE event! These ads show on the big screen before movies start; a great way to reach thousands of local people in Port Townsend with your message. Photo provided by client. Ad created from original website design by Willa Cline.